The old Harness and Tin Shop at 119 West 2nd Street built in 1898. Taylor National Bank Building at 200 North Main Street built in 1894. Three story red brick and sandstone structure in the Richardsonian Romanesque style. Rusticated stone at the ground floor contrasts with smooth brick walls on the two upper floors. Top floor has the more elaborately detailed order of columns. Sheer metal cornice is ornamented with dentils and a frieze of scroll design. Built by A. O. Watson. Art Office Signs (formerly the J. A. Thompson Building) at 201 West 2nd Street built in 1893. 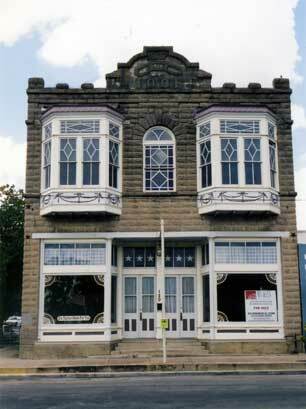 1914 Preslar-Hewitt Building in Taylor, Williamson County, Texas. Restored by the Jayroe Family and Listed May 1, 2003. Register No. 03000331 on the National Register of Historic Places. 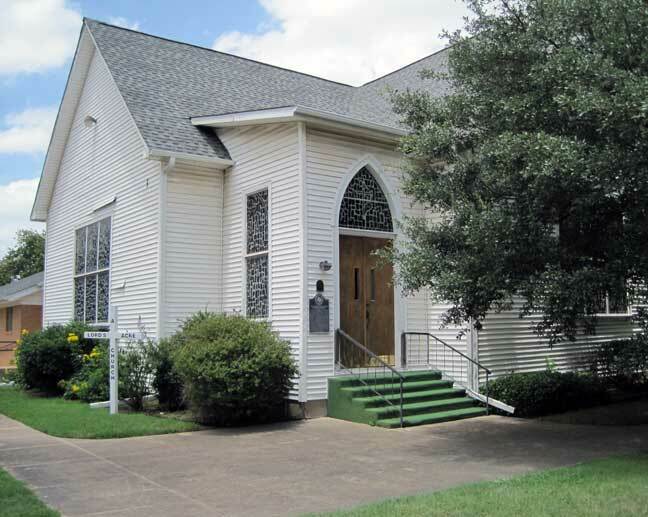 Texas Historical Commission offical historical medallion was awarded in 2004 and recordes as a Texas Historic Landmark. 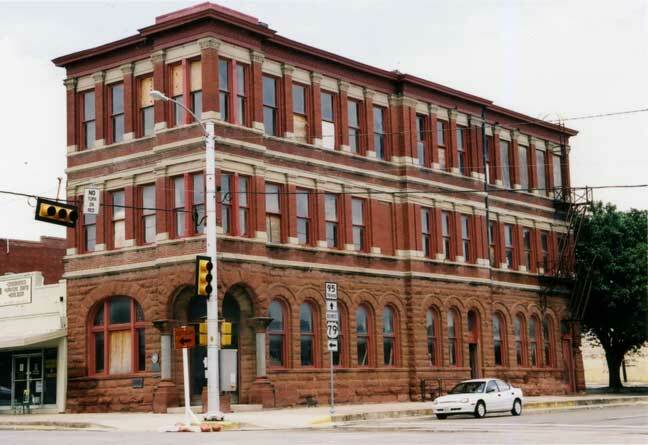 The early growth of Taylor as a vital cotton and railroad center is refelcted in its historic busines district. 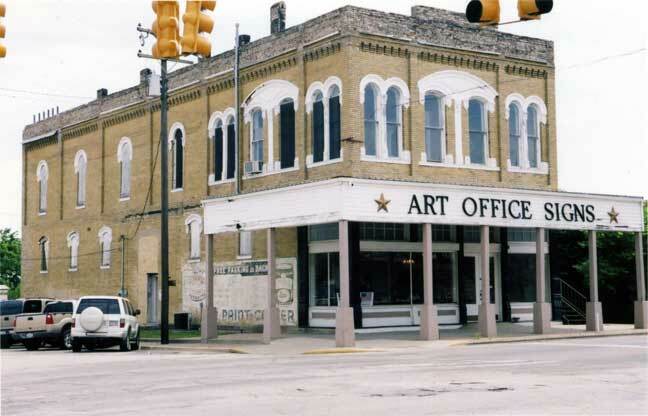 Hugo Hunke built this two-story commercial structure in 1914 to anchor an important block. It provided first floor space for two businesses and up to seven offices on the second floor. 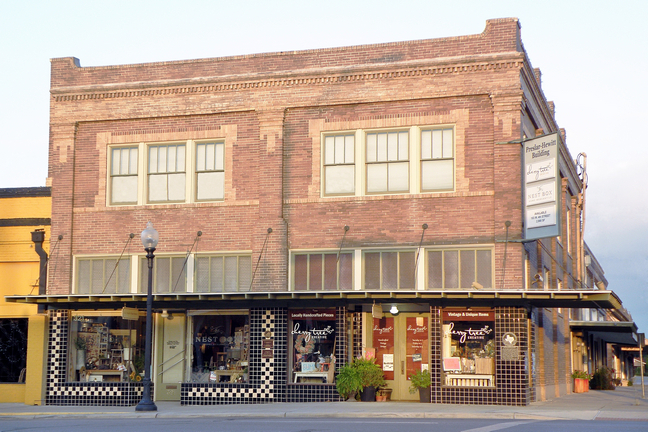 Early occupants included Strand Tailors and Menefee Grocery. It has served a variety of other businesses, but is remembered as the site of Preslar-Hewitt Pharmacy, 1929-1954. 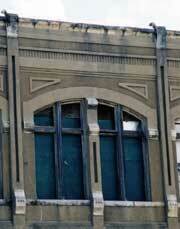 Detailing includes Pilasters, capitals, transom, decorative tilework and an entablature with dentil course. 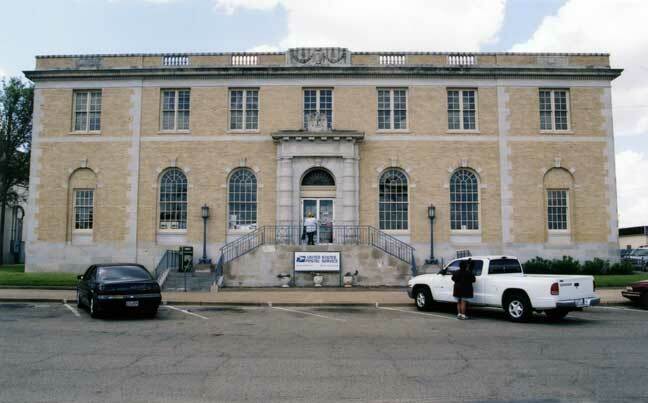 The Taylor United States Post Office at 202 West 4th Street built in 1929 and 1930. 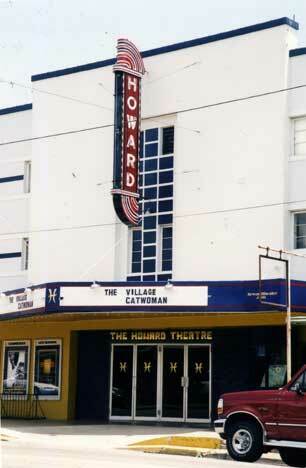 The Howard Theater 306 North Main Street-----Mimosa 120 West 4th Street built in 1907. The Tenth Street United Methodist Church 410 West 10th Street built prior to 1911. The congregation continues to worship in the original sanctuary which has been remodeled several times.